The Inaugural Eddie Melo Legacy Organization’s Invitational Amateur Boxing Show will be the commencement of a long-term boxing-mentorship program where we utilize our resources to enhance amateur boxers’ aspirations in the sport with an acute attention to their social development, education, and future. Every single boxer registered with us will have the opportunity of meeting and engaging with former amateur and professional boxers, champs and contenders who will mentor them. The aim of Eddie Melo Legacy Organization’s “Media Orientation with The Champs,” is to announce the inception of the Eddie Melo Legacy Organization’s Mentorship Program and to allow those in attendance to meet “The Champs” up close. FOR IMMEDIATE RELEASE. Toronto ON. The Eddie Melo Legacy Organization (EMLO) is proud to announce our “Media Orientation with The Champs”, on Saturday August 11th 2018, at Jennifer Huggins’ Toronto Kingsway Boxing Club, located at 22-B Jutland Rd. Toronto, ON. Canada M8Z 2G9. The Media Orientation will follow the EMLO Inaugural Invitational Amateur Boxing Show which will be hosted the night before (August 10th 2018), at the Junction Craft Brewery. 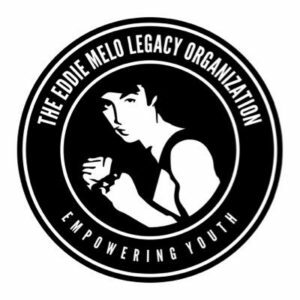 The AIM of EMLO’s “Media Orientation with The Champs,” is to announce the inception of the Eddie Melo Legacy Organization’s Mentorship Program and to allow those in attendance to meet “The Champs” up close. The “Media Orientation with The Champs,” is an exclusive affair for the participants of the EMLO Inaugural Invitational Amateur Boxing Show, their family, coaches and other youth (since some may not be attend “An Evening Under The Stars II” later that evening), for invited guests and the Media. We would also like to invite Boxing Ontario membership to the “Media Orientation with The Champs”; present your boxing licence or membership card and bring a non-perishable food bank donation. The Eddie Melo Legacy Organization’s Mentors (former Amateur and World boxing champions) will be on hand to speak with those in attendance and to share their involvement with the EMLO Mentorship Program. Treat A Human Being As They Are And They Will Remain As They Are… Treat Them As They Can And Should Be And They Will Become As They Can And Should Be.